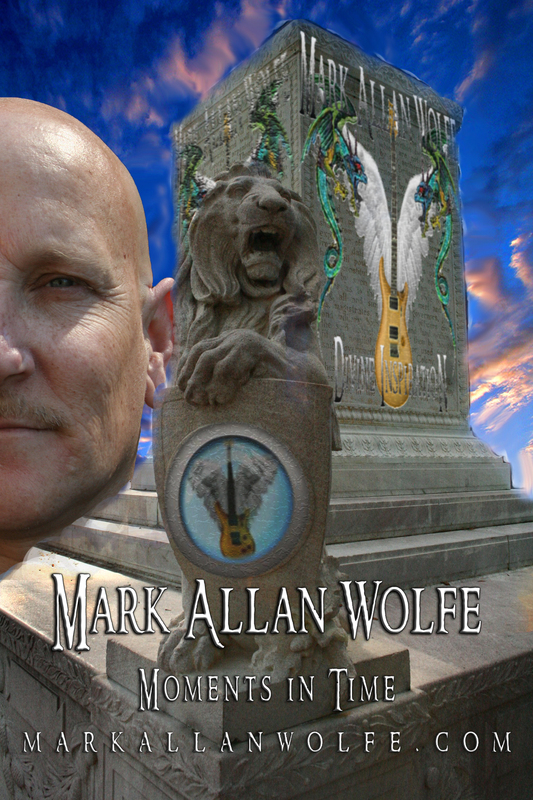 Mark Allan Wolfe online Radio Interview TONIGHT! The program will be available for live listening and also podcasting so if you miss it you can still go and listen to the podcast. It should be informative, fun and if you know me a little crazy. I hope you will tune in and share the link with your friends and either listen to the program live or download the podcast. I will be sharing about the upcoming new release of my CD “Passing Thru”, music licensing and other topics of interests regarding the music of Mark Allan Wolfe. I hope you would tune in or at least help me share this information with folks. It should be a great time. Life has ups and downs, highs and lows yet it is the music we follow within our heart that will ultimately define who we are and what we become. Tonight, we present to you, the gifted composer, Mark Allan Wolfe. Mark Allan Wolfe is a composer and an artist in the truest sense. His film and TV compositions run from thought-provoking, high energy, laced with adrenaline and atq times sincerity. Combining heart-pounding Rock ‘n Roll with tributaries of Electronics, World, Hip-Hop, Pop and Americana, Mark’s songs draw on his 25 years of striving for professionalism and musical merger of sound and genre. Grace Peterson is an author, garden columnist and blogger. Depending on the weather, she can be found either pecking on her laptop or puttering in her garden. She is a member of the National Association of Memoir Writers and the Association For Writing Excellence and her work has been published in several anthologies. Tonight we will speaking of her first book, Reaching. Is it Demon possession or mental illness. A personal descent into cult extremism and the aftermath,. This entry was posted in branding, markallanwolfe.com, music business, Music Law & Copyright, music licensing, music recording, personal, Recording techniques, silly things, Spirituality, Uncategorized and tagged classic rock, composer for film, composers, composers in Atlanta, how to license music into film and tv, how to license my music, instrumental guitar music, instrumental rock, licensing music, mark allan wolfe, mark allan wolfe markallanwolfe.com, mark allan wolfe radio music guitarist instrumental music instrumental music supervisors, markallanwolfe, markallanwolfe.com, power of music, wolfies music publishing on October 24, 2013 by admin. While doing some research on the subject today I stumbled upon an interesting graphic located at the future of music coalition.org website. There is a great article filled with several graphics explaining the how’s and who’s. THis is a nice peice written by Kristin Thomson. There are several graphics which open to larger ones but if you scroll on thru to the bottome or middle of the page there is a large graphic easy to read. I would like to thank every one over there for this information it was quite helpful. So lets dig in…. How are musicians and songwriters compensated when their music is played on the radio, sold on digital platforms, webcast or streamed on interactive services? Click on this infor graphioc to learn how.through any of the infographics below to see how the money flows, at least on US sales, performances and streams. This entry was posted in branding, markallanwolfe.com, music business, Music Law & Copyright, music licensing, music recording, music video, Recording techniques and tagged classic rock, composer for film, composers, how to license music into film and tv, how to license my music, how to make money in music, instrumental rock, licensing music, mark allan wolfe, mark allan wolfe radio music guitarist instrumental music instrumental music supervisors, markallanwolfe, markallanwolfe.com, markallanwolfe.com classic rock instrumental guitar music rock n roll advertising music wap mofilm, rock music for film, the future or music coalition.org, wolfies music publishing on July 12, 2013 by admin. Well I thought I would take a few minutes to fill you all in on a few things since a lot of you have been emailing me and such to find out things, just seemed to be the best thing was to write it down and share whats going on in a mass posting. So lets dive in shall we? I would like to start off my saying thanks to all of you who have been so kind as to offer your prayers and support for me and my family as I am recovering from surgery. A few of you knew that for a while I have been suffering in my hands with numbness and it was getting unbearable and I could not do basic things really it was really bad. On top of other health issues I was dealing with I had this to go thru which was interesting. So I am glad to report that my surgery on my RIGHT hand went according to plan. Turns out one of the problems I had was a very severe case of carpal tunnel and pinched nerves in my wrist. As I am recovering trying to get strength back and working on my fingers and such, I will be working holistically on my left hand hopefully I will not have to have the same surgery on my left hand but if I need to I am going to go for it. I am not looking forward to it in a way because of the lack of mobility I have experienced and the strain it puts on things like family and work but you have to do what you have to do. While I was recouperating and had the loss of my right hand pretty much I was in the studio working on mastering files for my upcoming new CD. I must say it sounds totally different from my last few but I think all musicianas say that lol Really this CD will be some what of a meditation, queit time sort of thing. I recorded several tracks a while ago and some were recorded right up till the time I went under. I had been working on this back n forth for some time and I wanted to have something to do while I was letting my hand get better. I will be posting some more info on that CD as the release date approaches. I can tell you there are a few tracks I have pre released on my website, soudcloud and reverbnation. On that note I would like to point you to a soundcloud player that has a few NEW songs on it from the upcoming release. Srill working on some artwork and name. If you sample some songs from the player bellow and would like to share your thoughts or even a possible name for the CD let me know you never know it might jsut be the name I use, would not that be cool right on? There is a LOT on the horizon that we are working on which is hard for me to talk about just at this moment until I get the clearence yet it is very exciting. I am so thankful for my sweet heart helping me in so many things I just could not do alone due to what has been happening. So if you have written me and wondered why I was taking so long to get back to you hopefully this blog posting helps explain why. FInally I would like to share with you that I will be adding a few new tools to the blogs and the websites where it is easier to download the songs and help share. Been making some wonderful connections and partnerships and collaborations with people all over the globe . So if you are wanting to collaborate or network perhaps join in the fun some how or way just email me or give me a shout when ever you can. I leave you with the message I give to all my friends, hang in there life gets better, if your in a bind be of good courage THIS TOO SHALL PASS right on? so keep on making music, keep on making love and do the right thing and all shall work out . This entry was posted in branding, markallanwolfe.com, personal, Recording techniques, Uncategorized and tagged classic rock, composer, composer for film, composers, instrumental guitar music, instrumental rock, licensing music, mark allan wolfe, mark allan wolfe radio music guitarist instrumental music instrumental music supervisors news markallanwolfe.com news feed, markallanwolfe.com, markallanwolfe.com classic rock instrumental guitar music rock n roll advertising music wap mofilm, modern guitar rock, wolfies music publishing on July 6, 2013 by admin. Some of the commercials went to TV some went to the WEB I am just going thru all of these as I said but was looking to just share some of these with you guys. Enjoy! This video is from a commercial called “THE SALUTE” I thought it was pretty cool just because it showed the love of a child for his dad. This video clip has a few pieces of music with in it. I thought it aslo pretty neat for it expressed something of a protection of the enviornment and how some folks in the world view things. This is a Nature Valley commercial or corporate video type feel. I thought the music was a good choice and I felt they did a good job getting the message out. This one made me smile and laugh a bit. THis is for SURF detergent using a pretty cool ROCK song. This entry was posted in branding, markallanwolfe.com, music video, personal, silly things and tagged classic rock, composer for film, composers, composers in Atlanta, film, instrumental rock, markallanwolfe.com, markallanwolfe.com classic rock instrumental guitar music rock n roll advertising music wap mofilm, webtv, wolfies music publishing on March 20, 2013 by admin. Brand partnerships are increasingly important to artists and record companies, not merely as a source of revenue, but also as a way of positioning performers and introducing them to new audiences, says the IFPI in its Investing In Music report. Where music meets licensing, there’s money to be made. How much money? We have all read about the multi-million-dollar deals for icon bands like the Rolling Stones and Led Zeppelin, but what about the money for the rest of us? There are a great many places to earn money from music. For example, there are more TV shows on more cable channels than ever before. There are all kinds of commercials for both TV and WEB. There are tons of electronic games and toys. There are corporate video productions galore. There are big movies, little movies, and direct-to-DVD movies. Never mind an almost endless amount of online opps to find places to get your jams And they all are potential places to put your music, if the rights can be cleared. So this is just the beginning as you can tell there is a lot more going on here than just a few folks getting music placed. If you work hard at trying to get it out there. If you work hard at making good music, show people your willing to work with them there is almost no telling what may happen. One thing you have to do is try and keep working at it. This entry was posted in branding, markallanwolfe.com, music business, music licensing and tagged brands, composer for film, licensing music, music, music for advertising, music marketing, wolfies music publishing on December 5, 2012 by admin. There are many ways to help advance your career if you want to. Many people are waiting for OTHERS to do it for them but the truth is NO ONE CARES more about YOUR music than YOU! I cannot begin to tell you about how many artist and bands approach me wanting to be FAMOUS or what ever but are doing absolutely NOTHING about trying to achieve their goals. I wanted to maybe share a few ideas that may help you in your endeavors. What are you doing to build your music career? What are you wanting out of your musical career ? Who are you surrounding yourself with ? Where do you see yourself in 5 yrs? of 2 yrs? even in 6 months? How are your going to get to where you want to be? After you have figured out your answers for each question above, you must focus on making every action you take in your music career go toward achieving the exact goals you have made for yourself. Most musicians looking to become successful in the music business are not sure what they must do to reach their desired goals. 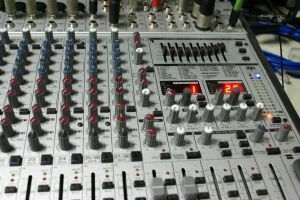 If you are experiencing this as well, the best solution to this problem is to seek out training from a professional who has shown other musicians how to earn a lot of money in their careers. This way, you can avoid making mistakes that will cost you significant time and effort to fix. If you are looking for information on how to start your journey, or looking for help to build upon that which you have already started, then I would ask you to please send me an email with some info about yourself and maybe I can help. I will write more in the days to come in the mean time take some time to think about and answer the questions about. The answer may surprise you. A lot of people just say, ” I am going to be a big star, make all kinds of money” but they do not know how to accomplish this, or who to have help them. I may not have all your answers but I feel I can help you in your journey. This entry was posted in markallanwolfe.com, music business, Music Law & Copyright, personal, Spirituality and tagged classic rock, composer, composer for film, how to license music into film and tv, how to license my music, how to make money in the music business, licensing music, mark allan wolfe, mark allan wolfe radio music guitarist instrumental music instrumental music supervisors news markallanwolfe.com news feed, music business, wolfies music publishing on October 24, 2012 by admin. WAP Publishing has terminated their agreement with the UK-based MoFilm as of March 2012, due to non-payment of the license fees. WAP worked with MoFilm and provided them with music for over 200 online and broadcast commercials. All of these commercials continue to exist via broadcast and digital media and are viewed globally. Almost all of these commercials are now unlicensed and their music synchronization licenses have expired or they have been revoked for non-payment. WAP Publishing represents many individual composers like, Atlanta-based Mark Allan Wolfe. The problem grew wider when companies like: AT&T, Chevrolet, Coca Cola, Pepsi, Unilever refused to respond to any WAP correspondence notifying them of MoFilm’s lawful termination. “We have contacted many of the 39 (primarily) US-based companies informing them months ago, how MoFilm has been terminated. We thought this proposed transference would be a simple matter. We assumed each company would handle it in an appropriate manner and respect the copyright of others, in the same way they so proudly and fiercely defend their own copyrights. We explained how MoFilm was not paying WAP. In fact, as the licensor, all potential licenses should be contacting WAP directly. If all the brands would please contact us, WAP Publishing will gladly restructure an agreement on behalf of our songwriters/musicians”, Guy Ratcliffe/CEO WAP Publishing said. WAP worked with MoFilm for over two years, dating back to 2010.WAP has tried every known way to rectify this. It is with great regret that WAP has to make this an international public issue. WAP does not want to embarrass the 39 brands involved, but the indifference and non-responsive stance – encountered to date – has forced WAP to go public. For further details and to view some of the commercial videos referred to, please see our blog at www.wappublishing.com. Visit Wap Publishing BLOG and watch several of the said TV commercials, web adverts, film competition submissions and more. It is of course not a FULL listing though but a big one at that. As many of you who know me, I am a very mellow easy going person who loves people and hate confrontation but not afraid to go forwards when needed. After a long time of thought and trying to resolve something a certain way I feel the need to publish certain things we have been dealing with in hopes to fix things that are broken. I share this information with the hopes of building a bridge of communication and restoring relationships as well as getting paid for services rendered. This entry was posted in markallanwolfe.com, music business, Music Law & Copyright, personal, Uncategorized and tagged composer for film, composers, how to license music into film and tv, how to license my music, instrumental guitar music, instrumental rock, licensing music, mark allan wolfe, markallanwolfe, markallanwolfe.com, markallanwolfe.com classic rock instrumental guitar music rock n roll advertising music wap mofilm, mofilm, music supervisors, tribeca, wap publishing.com, webtv, wolfies music publishing on August 20, 2012 by admin. So I thought I would try something new today. Always looking for something to cause a stir or get folks like you into learning about my music. I probably do not try hard enough but none the less you need to start somewhere. I was thinking about how inspiration comes to me and maybe you but it usually comes as a surprise. A sort of wind that fills your heart and mind. Perhaps it is this way with you but today while cleaning I started hearing this melody come thru into my mind. I was thinking yes I dig this now only if I can just get it out of my mind and into music we would be cool. This is the never ending struggle we as musicians, songwriters or composers feel. It is like this passion that fills us, to strive to get it all out there and see what sticks. Some times it is just for you, others it is something for everyone. Then you have fight past your own feelings and emotions for you constantly wonder, “what will people think?” I always try to throw those thoughts and caution to the wind. Let the muse lead you to the song. Not an easy thing to do hence we try anyways. So I thought it might be interesting to share this humble journey with you and express what it is that goes on inside the heart when one tries to compose or write music. Now I must also admit and confess something terrible. I do not know how to accurately write out the music. I understand it, I know the chords most of the time, yet it is very difficult and mundane for me to be a copyist and scribe out the notes one by one. I do not have the patience or the desire to do so. I am more happy to try and find the song this way than the other. So lets begin. Over the next few postings I will begin to share a bit about the songs and we shall see what comes of it. I would also encourage you if you listen to my music, please comment or share an email as some of you have already done, and explain or share your thoughts either GOOD or BAD on my music. I read every email and endeavor to learn and respond to each one, although not as fast as I would like. So if you dig it or hate it give me a word about it but please do not be vulgar or use curse words. LOL Well onward ho and lets begin…. This entry was posted in markallanwolfe.com, music business, personal, silly things, Uncategorized and tagged classic rock, composer for film, composers, composers in Atlanta, film, hope, how to license music into film and tv, how to license my music, instrumental rock, licensing music, mark allan wolfe, mark allan wolfe radio music guitarist instrumental music, mark allan wolfe radio music guitarist instrumental music instrumental music supervisors news markallanwolfe.com news feed, markallanwolfe, wap publishing.com, wolfies music publishing on June 15, 2012 by admin. This is a NEW Cd cover for my latest project emphasizing on guitar electronic progressive Rock vibe with a twist. Very rocking and ready to go. The picture is a collage of sorts from past CD releases and videos I have made. There is the logo of markallanwolfe.com with the dragons and guitar with wings. With the title “Divine Inspiration” I took that with the mixture of the “SPIRIT of ROCK” which is the guitar with wings, the golden Paul Reed Smith (PRS). They are on the monument behind as a testimony that I believe all my music is divinely inspired meaning that I believe in GOD and that all good things come from him. That is my personal thoughts and you do not have to subscribe to that but it is cool if you do not. Then there is the LION statue, the Lion of the Tribe of Judah, which represents to me JESUS Christ, the Messiah. Both the lion and the monument refer to the stability of ROCK and the strength of the trinity and how eternal truth is SOLID. The statue is really of Jame Edwards Oglethorpe info of the statue can be found here I liked the statue for a lot of reasons and made it my own in some ways but it is really interesting on what he did if you’re not familiar he was the main dude responsible for founding the State of Georgia. The first spirit of ROCK I created to make look like it was behind a glass window I thought was good and a bit different. I was trying to show how our perceptions of how we see things are very fragile and our perceptions of reality can be easily altered or changed and become dirty. Also I liked the guitar having freedom, (which is a song of mine) but how music is free it can mean many things to different people. Then you have of course the split face of yours truly again. You need to see who I am maybe you don’t but I thought it looked cool almost mysterious, for those of you who really KNOW me are laughing for I am a mystery lol I say this in utmost humility. Then finally the sky which comes from the first real logo I created of the wolf in the sky and GOD;s all-seeing eye, not to be mistaken with the EYE of Horus. So all of you conspiracy nuts like myself will not think I am a part of the new world order. There you have it a little more info on what lies behind the artwork and upcoming music from my spirit, heart and mind. I thought it would be a little interesting if not give you something to laugh at or ponder when listening. I believe music is an art form and there are many facets to music such as a diamond or jewel if we would take a moment to really listen to what the artist is trying to convey we may see it other than hear it. Well I was wanting to share a few new videos I made and created recently. I do hope you enjoy them. The songs are a few years old but the videos are new.These songs have meant a lot to me over the years. I had a lot of fun creating the music and recording them. There is a story behind each one but I guess if your interested I can always tell the story just email me and ask me to share what is behind the songs if your interested. The song first is LOVE SONG a vocal song I wrote for my wife and I hope you like the music as well as the lyrics. On this track is my vocals and I also played all the instruments as well. The second song is called PEACE. A song created about 10 years ago I recorded it in a small studio in southern Indiana. Again I performed all the music and arranged everything. This song has special meaning to my heart as well many different emotions going thru the head during the creation of it. I remember it was spring and the the trees where bursting with green and bird where singing there songs of love hence it was a very magical time yet inwardly I was a mess. So enjoy it. This entry was posted in markallanwolfe.com, music business, music video, personal, silly things, Spirituality, Uncategorized and tagged audio, classic rock, composer, composer for film, composers, composers in Atlanta, film, fre music, hope, how to license music into film and tv, how to license my music, instrumental guitar music, instrumental rock, licensing music, mark allan wolfe, mark allan wolfe radio music guitarist instrumental music instrumental music supervisors, markallanwolfe, markallanwolfe.com, markallanwolfe.com classic rock instrumental guitar music rock n roll advertising music wap mofilm, music, music supervisors, new music, rock and roll, tribeca, webtv, wolfies music publishing on May 12, 2012 by admin. Copyright what is it and who needs it?